← I Hereby Commit to NaBloPoMo 2017! Day 1. I wrote the introduction this morning, which helped me to clarify things nicely. This book HAS been cooking in my head for a year, so I know where it is going, even though I have revised bits of it in my head and my notes several times. I had not given much specific thought to the intro, and inspiration struck, so that’s what I wrote. Tonight, I attended my first-ever Memphis SPARK meeting; this is a monthly networking meeting for small businesses (independent contractors, freelancers, sole proprietors, whatever you want to call us) sponsored by the Freelancers Union. When we got to the item about having a plan and people connecting with your passion, I put my WNFIN goal (write an entire book from scratch in November) out there. So, when I go back next month, I am sure they will ask about this. Making myself accountable — check. So, how was YOUR first day of NaNo ? Day 2. I took Nina Amir’s advice and prepared a detailed outline of my book. While I was a bit skeptical that I needed to do that (I have been making notes on this book and thinking about it for a year), it really helped me to pull things together. I’m sure the book will be more focused and useful to the target market than it would have been without this step. And, as she said in her article, it will be easier to write the book with the outline laid out so I know specifically what to write about. Days 3 and 4 were washouts for me. Today, which is Day 5, I used the outline that I did on Day 2 and wrote the entire first chapter! As I’m writing this book on paper in a medium sized notebook, I don’t have a word count (that will have to wait until I type it up after I’m done writing the first draft). I can say that chapter one is 14 pages in the notebook and I’m pleased with the topics it covers. 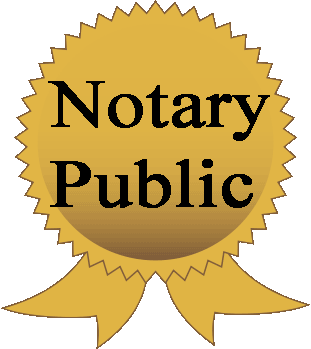 The book I’m writing is about the Notary Signing Agent business. I’m calling it “Top 12” for now, as it keeps changing from Things to Questions to Answers. I will pin the title down after the first draft is written. DAY 8 After two days with very little writing on my book (I did add 2 pages to the intro and started or worked on some articles for my blog), tonight I got back on it and wrote Chapter Two. As reported before, I’m doing this first draft by hand, using pen and paper in a medium sized notebook. Chapter 2 took up 19 1/2 pages in the notebook, which makes it the largest section so far. My plan (outlined and all that) is 12 chapters. I decided to write this first draft from what’s in my head and to add suggested links and books and other resources, as well as anything else relevant from the research I had already done, in the second draft after I type it up. This is to keep me from losing focus on the actual writing, as research can become another time sink if I let it. This entry was posted in Notary Public, Writing and tagged #amwriting, #NaNo, book for NSA, NaNonFiWriMo, notary book, Notary Signing Agent, WNFIN. Bookmark the permalink.